The XP50 is a high-performance cruiser-racer which offers impressive pace and ease of handling. 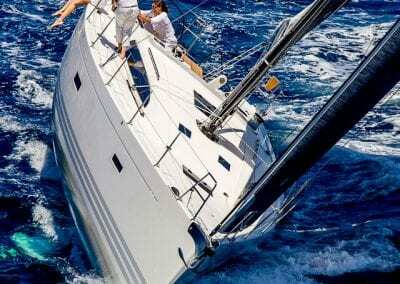 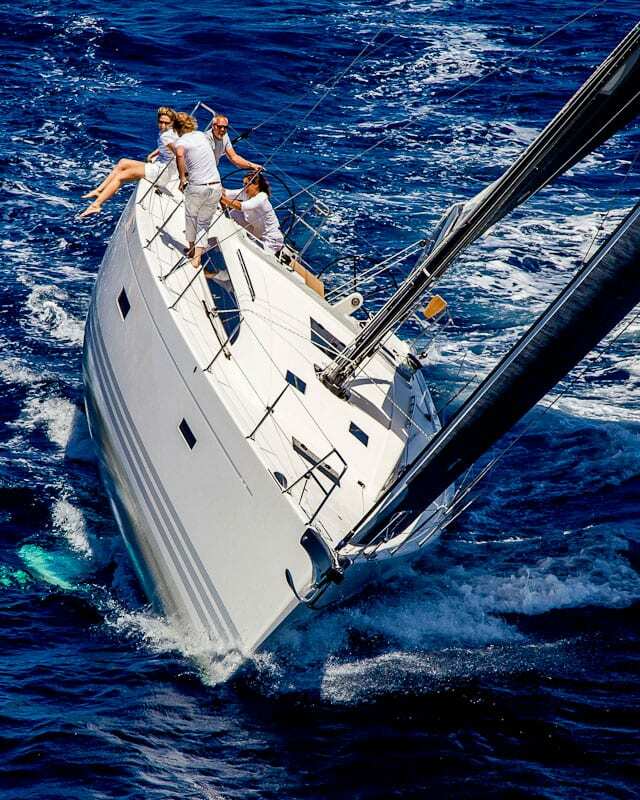 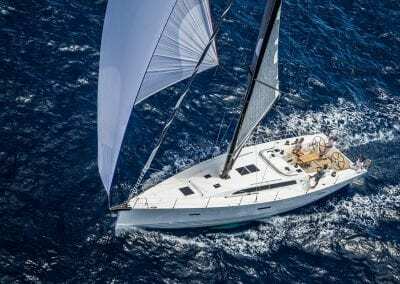 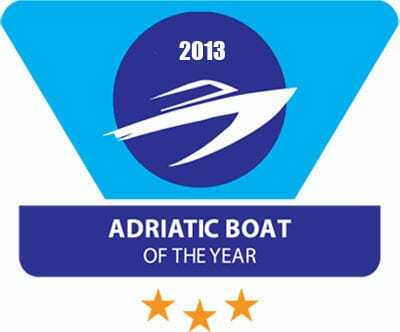 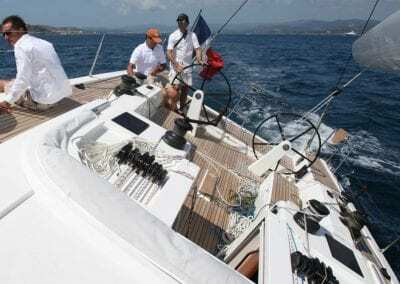 X-Yachts knew they hit the mark when they won a boat of the year award for performance while numerous skippers raved about her as a great cruising yacht. 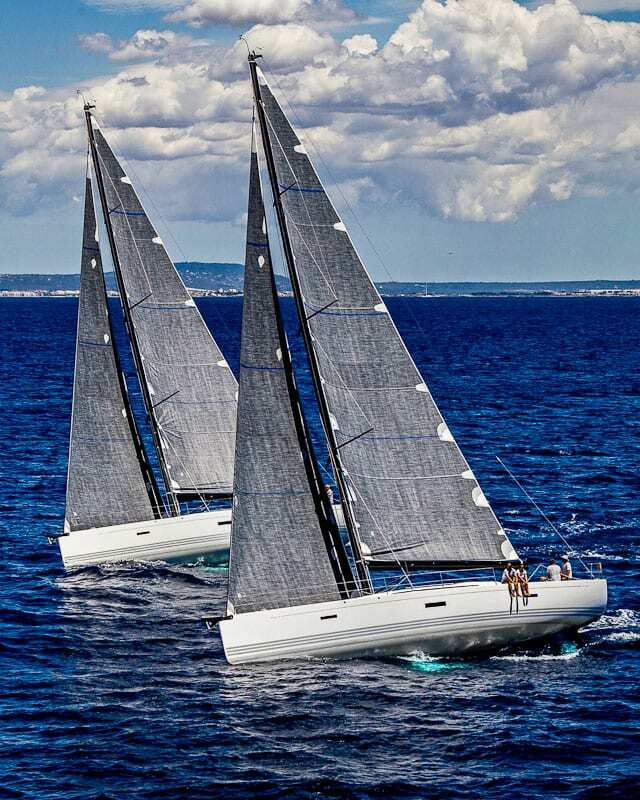 In line with the rest of the XP range, the 50-footer utilizes epoxy infusion build processes for improved stiffness with reduced weight, a carbon keel structure for maximum safety and ultimate stability, and a precision-molded composite keel with iron fin and lead bulb giving a high ballast ratio. 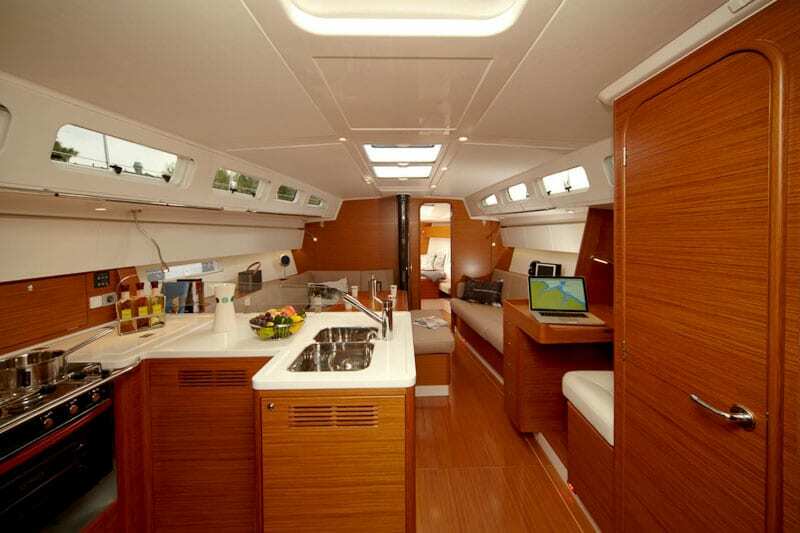 The XP models were conceived as true dual-purpose yachts. The guiding principle is that the XP50 be highly competitive when sailed with a full crew and easily handled by a couple or family. 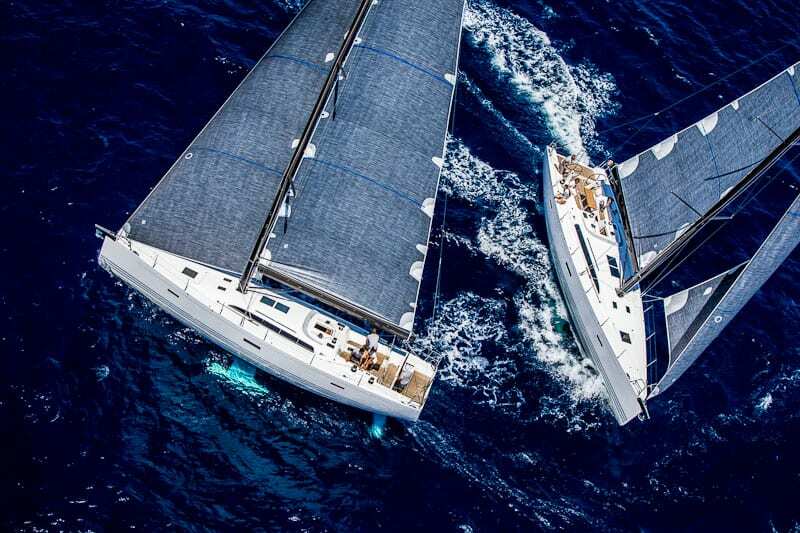 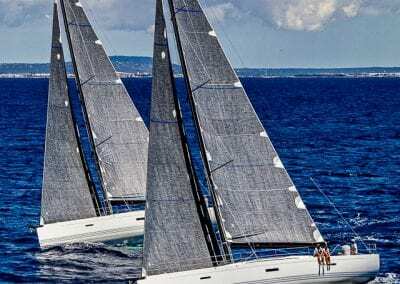 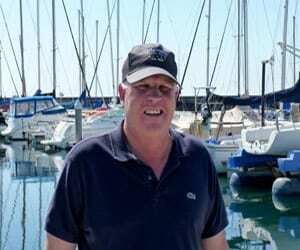 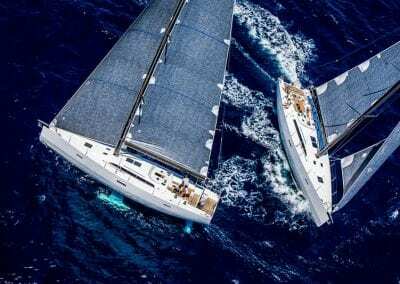 It can be optimized for racing under major handicap rating systems, but equally suited to a relaxed weekend cruise or a longer blue-water passage. 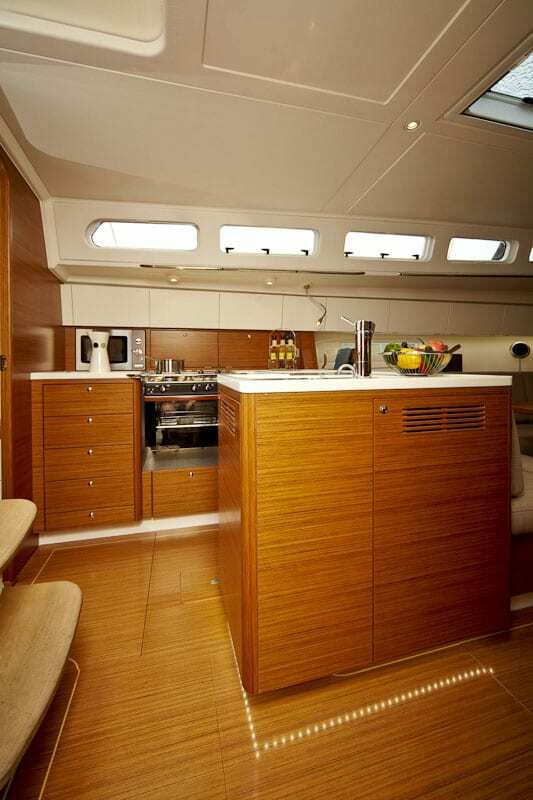 Form meets function with the XP50 deck layout, which balances clean lines and minimalist style with usability, safety and security. 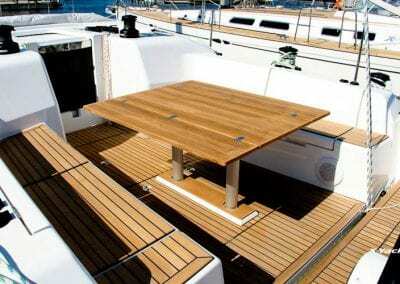 Attractive teak decking is fitted as standard, with the option to extend the teak to include side decks and coach roof. 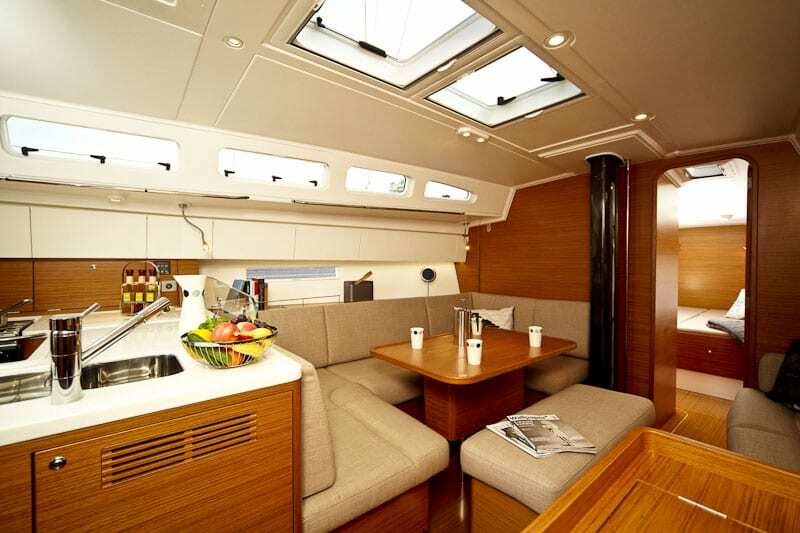 The stylish finish is complemented by concealed passages for halyards, sheets and trim lines, together with flush fittings and details such as the folding Nomen mooring cleats. Ergonomics for both cruising and racing have been carefully considered, with the center console functioning as a handy foot chock for crew sitting on the cockpit benches, whilst the width of the bulwark varies along the length of the yacht to improve the comfort of a ‘hiking’ race crew and ensure aesthetically pleasing lines. 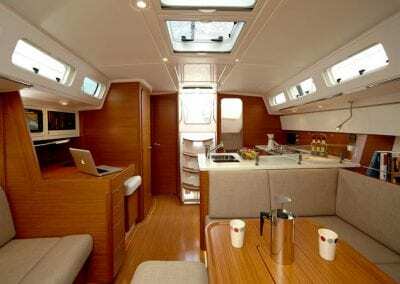 The XP50 interior is available in a three-cabin layout with twin shower and single shower options, which both benefit from exemplary use of light and space. 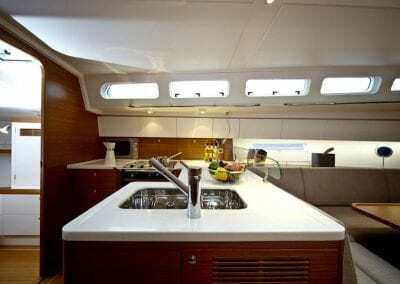 The secure galley is molded in one piece for minimal weight and arranged in an indented ‘U’ configuration for safe working at sea. 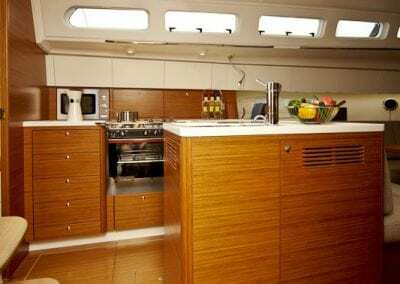 A gimballed three-jet gas cooker and cool box are fitted as standard. 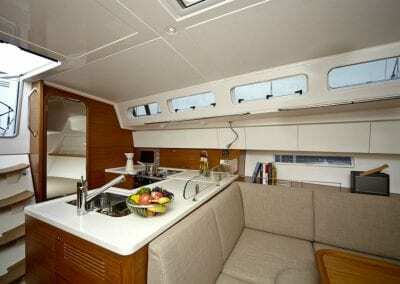 Options include an 85-litre front-opening fridge and microwave oven. 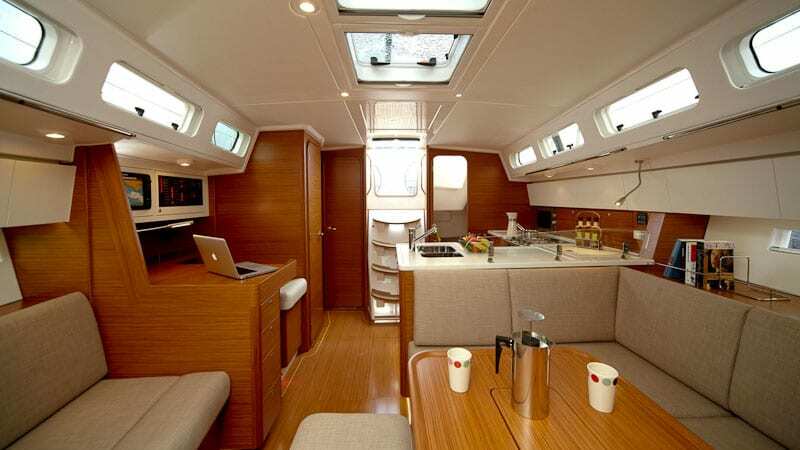 The Xp50 interior is available in a three cabin layout with twin shower layout. 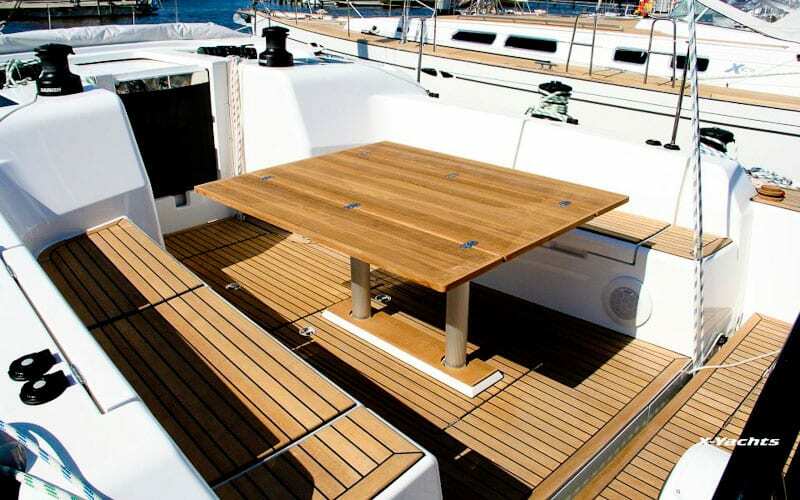 The innovative Xperformance sliding chart table allows the navigator to be seated either forward or aft-facing, or for the chart table to be slid aft to increase the side berth seating. 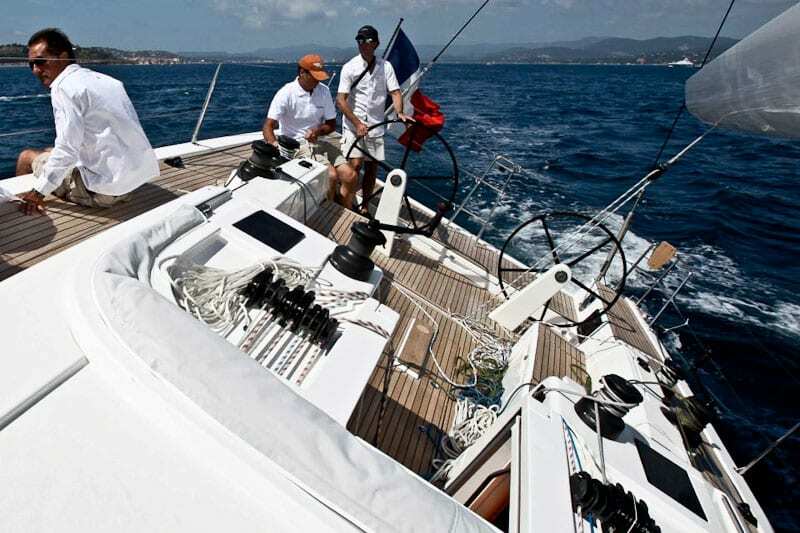 Nothing comes between the wind’s force and the XP50’s acceleration on the water. 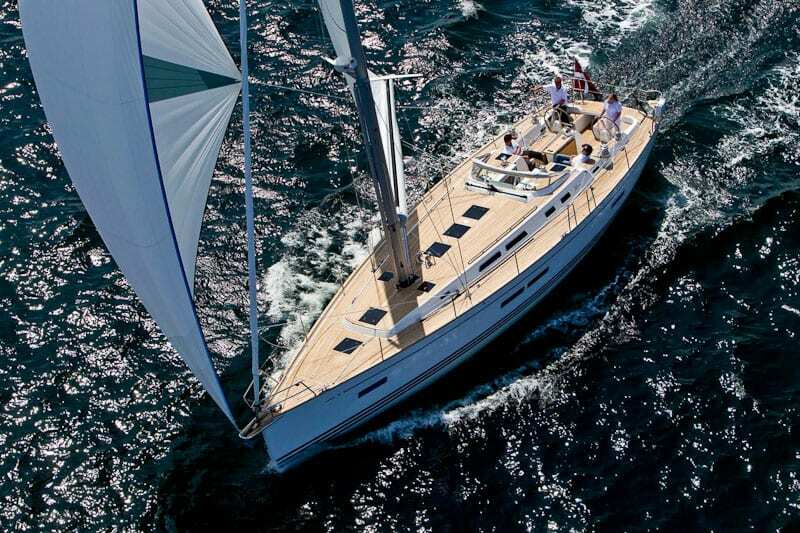 Even in winds under 5 knots, she was easy to keep in the groove and was a delight to steer. 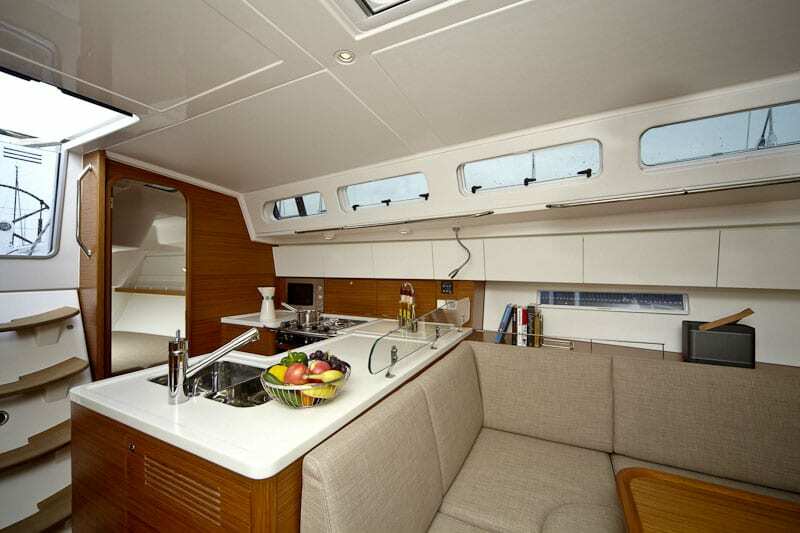 The XP50 is functionalism utilizing the Scandinavian design approach. 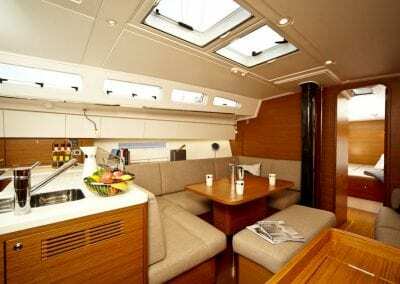 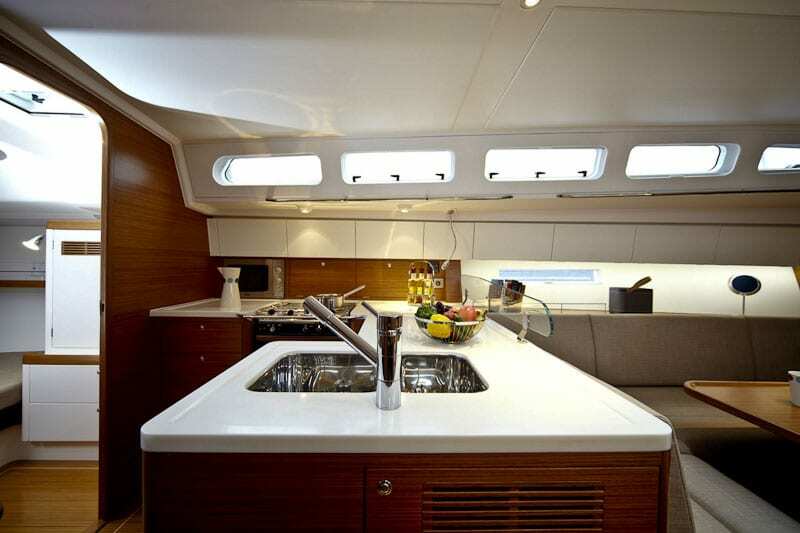 Superbly engineered, minimalistic yet functional styling on all details above as well as below decks. 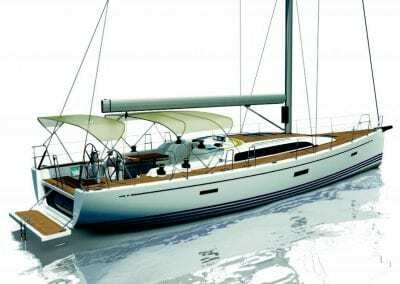 Read More About the XP50 on The X-Yachts Website.